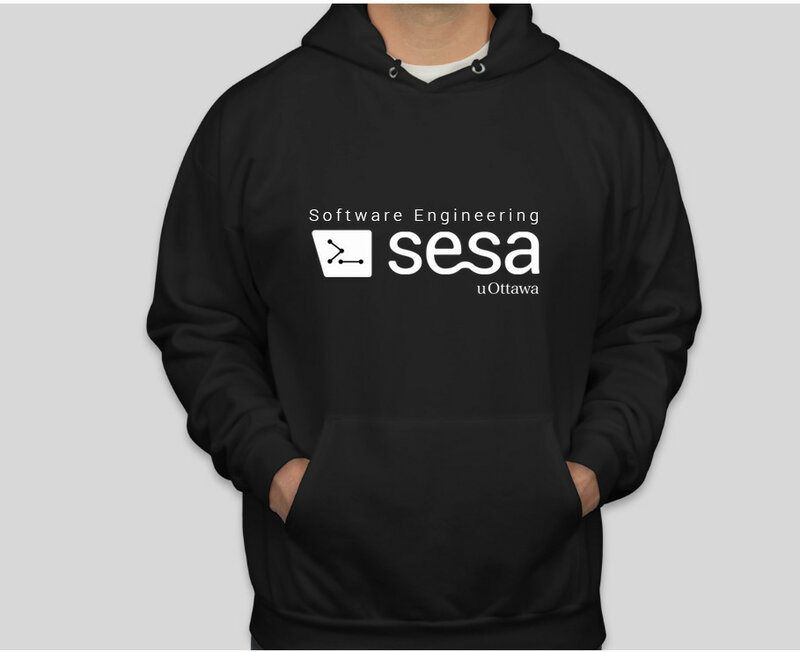 Based in the heart of Canada, the Software Engineering Student Association (SESA) aims to enrich the student experience of students interested in the field of Software Engineering. 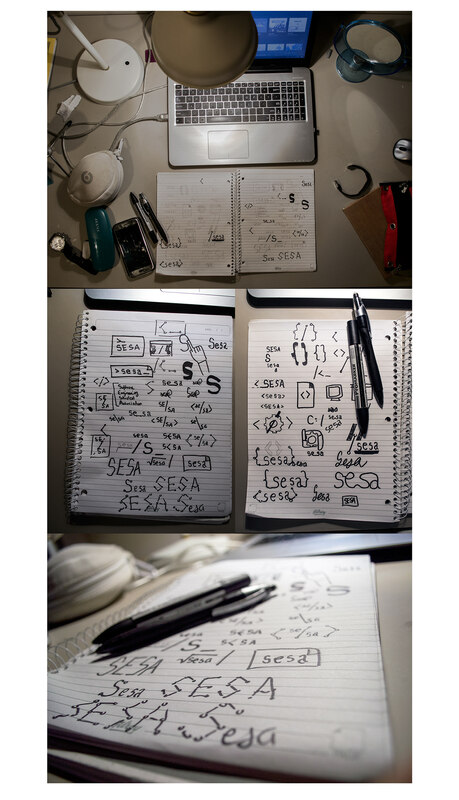 As a design VP, I felt that the brand needed a fresh redesign to appeal to future students. The goal of the redesign was to refresh the logo so that it had a more modern feel while retaining the simplicity and versatility of the logo. 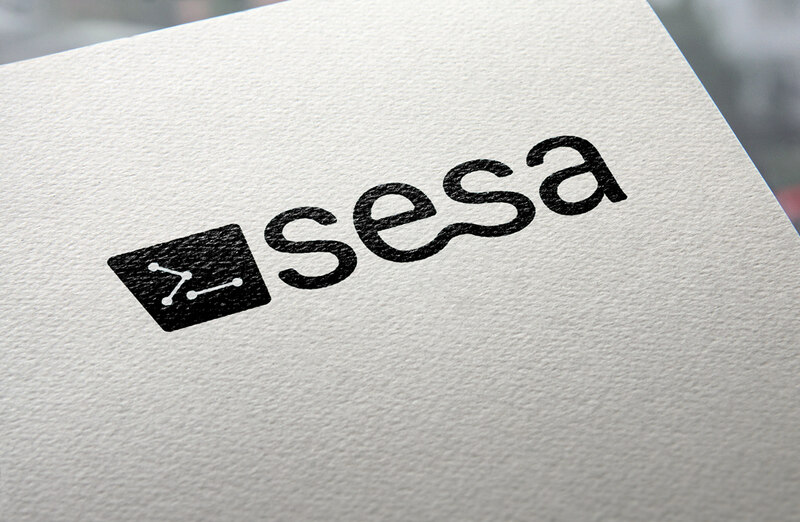 I began by drawing programming symbols alongside different ways of writing the word "SESA". 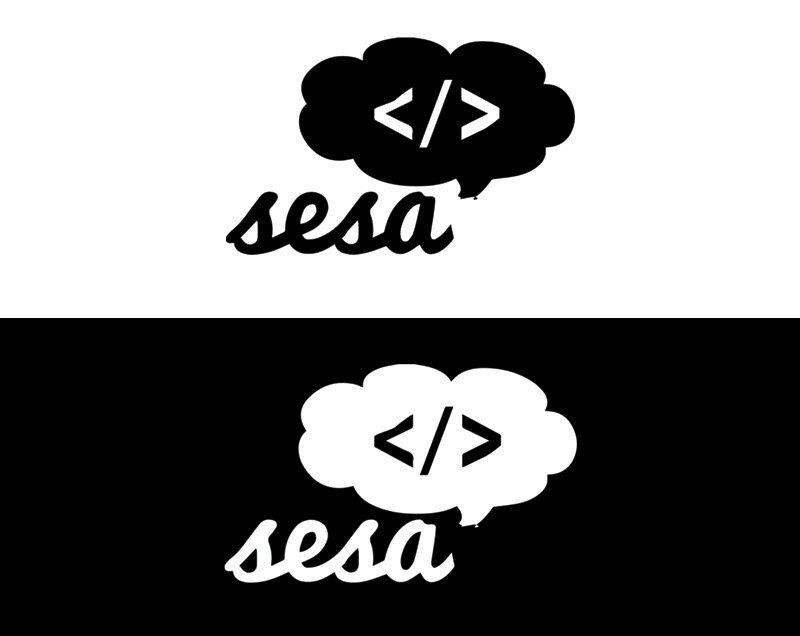 The aim was to identify ways I could incorporate programming symbols easily into the word "SESA". I kept my workbook everywhere with me and often spent an unusual time staring into my drawings trying to find ways to put together the text with different symbols. 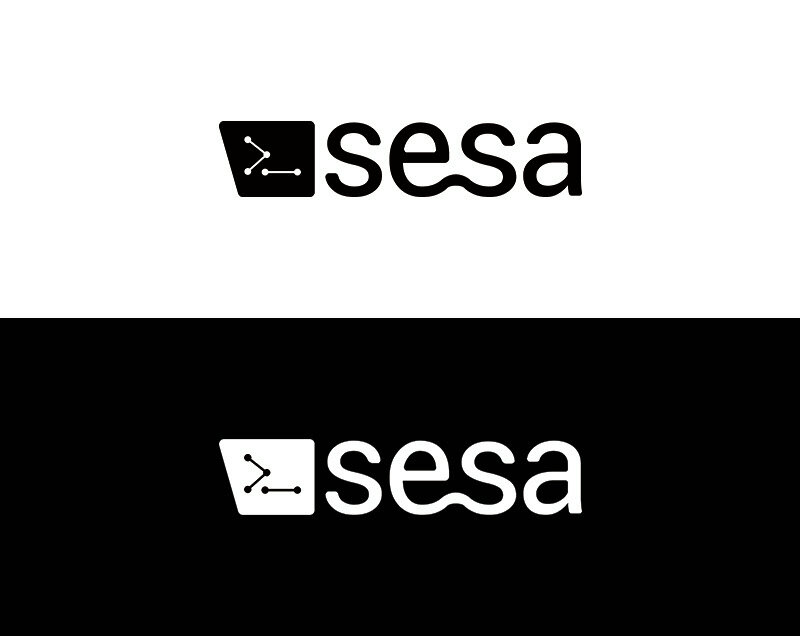 After gathering a collection of symbols and ways to write the word "SESA", I vectorized the best combinations in Illustrator. I love using illustrator when designing logos because you can easily make changes to an idea while retaining all your information. I approached this problem the same way that Aaron Draplin and how he approaches problems in logo designing. 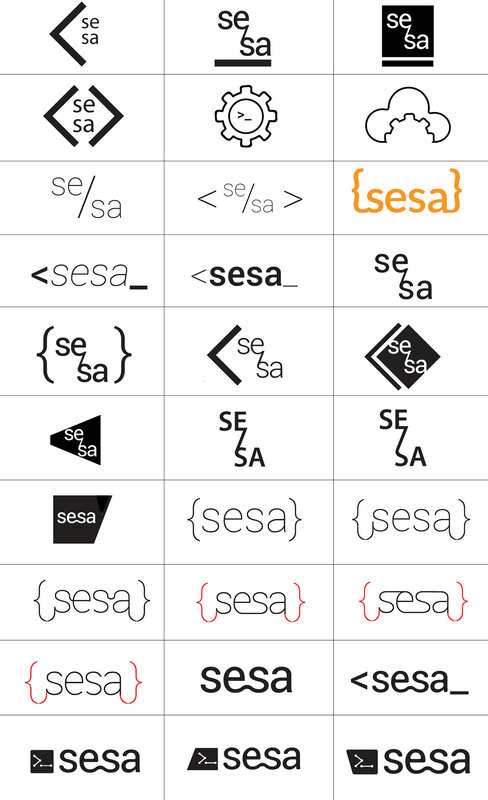 When analyzing popular logos, I realized many company edit their fonts to give it a unique feel to their brand. I approached this logo with the same mindset, and decided to round the edges of all corners of the text to give it a more fluid and modern feel. I loved the concept of illustrating the ">_" command with network lines, but felt it was too plain on its own. When playing with illustrator, I saw how the backslash symbol could fit in the square shape of the logo, and edited it to complement the rounded nature of the text.